Take time out of your busy schedule to enjoy the beauty of plants during the JC Raulston Arboretum's "Stop and Smell the Roses" winter symposium. Learn to appreciate life's beauty through the power of plants with Bryce Lane, NC State University, and transform your knowledge of roses with John Dole, Ph.D., NC State University, and Bill McNamara, Quarry Hill Botanical Garden, Glen Ellen, California. 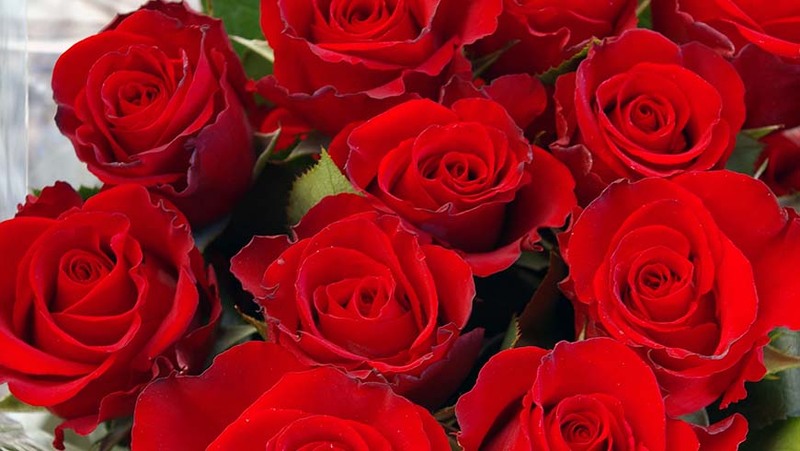 "Secrets of Cut Roses Revealed"
Starting with a brief history of the rose, we will transition to modern commercial roses and a tour of worldwide cut rose production. We will finish with a quick exploration of rose research at NC State and the future of the commercial cut rose. 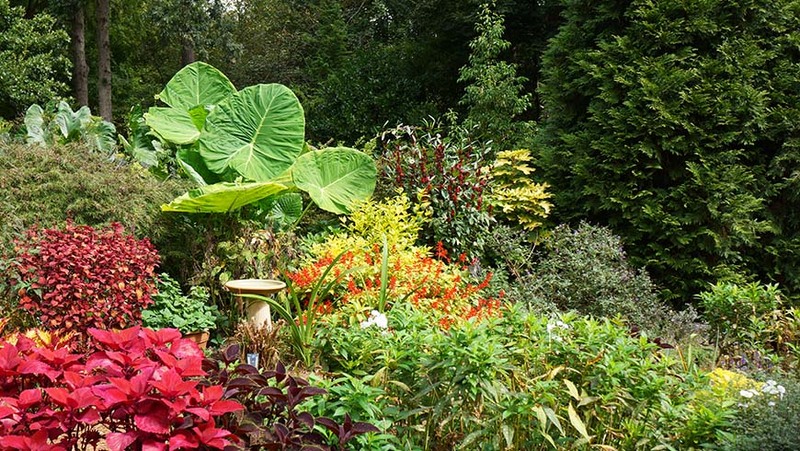 "The Joy of Gardening: The Power of Plants to Change Your Point of View"
One of the very special things about gardening is it’s incredible ability to transform. I’m not just talking about the landscape, gardening also has tremendous power to change our perspective. Spending time in the garden, whether we are working in it, or just strolling through it, has the power to relax, connect, and inspire us. This entertaining and amusing talk is full of stories about how gardening can change your life! 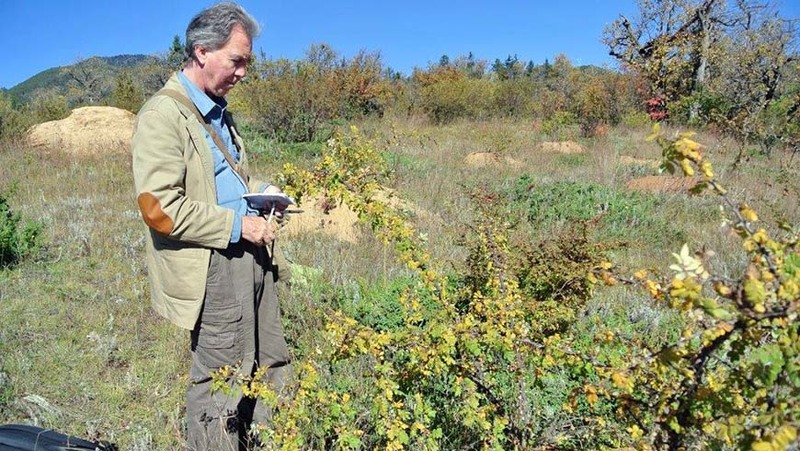 "Collecting Rose Species in Asia and their Conservation at Quarryhill"
For the past 26 years, Bill McNamara has been collecting and documenting naturally occurring plant species in the wilds of Asia. Most of the expeditions have been in China with its exceedingly rich and diverse flora, but also have taken place throughout Japan, Taiwan, the foothills of the Himalayas in India and Nepal, and recently in Myanmar. A particular focus of these expeditions has been to search for wild rose species to better understand their unique and important influence on modern roses and to comprehend their cultural needs for ex situ conservation. Of the 200 known wild roses in the world, almost half can be found in China, with the center of diversity of wild roses being the mountain regions of Sichuan, Yunnan, Southeastern Tibet, and Myanmar. At Quarryhill Botanical Garden in California, the species roses are grown and displayed from the seeds collected in the wild for the primary purpose of conservation and education. These efforts have created one of the largest collections of species roses in the world. John Dole grew up in western Michigan, starting a lifelong interest in horticulture and floriculture. He worked at a local farm market, growing cut flowers in his garden for sale, and picking strawberries, raspberries, apples, and pears for local commercial operations. He received a B.S. from Michigan State University and Ph.D. from the University of Minnesota. John conducts research on the production and postharvest handling of cut flowers, including roses, as well on unrooted cuttings and poinsettias. He has authored and co-authored with his students and collaborators hundreds of scientific, trade and popular press articles. He has written six books, including the primary floriculture textbook and industry information guide in the United States, Floriculture Principles and Species. He has taught several courses over the years, most notably Greenhouse Management, Floriculture Crop Production, and the graduate-level, Physiology of Flowering. He has advised 21 graduate students, who have continued on to a variety of industry, public garden, governmental, and academic positions. He serves as the executive advisor of the Association of Specialty Cut Flower Growers (ASCFG). Bryce grew up in Western Massachusetts, where he discovered his passion for plants and telling others about them, working at a local garden center through high school and college. 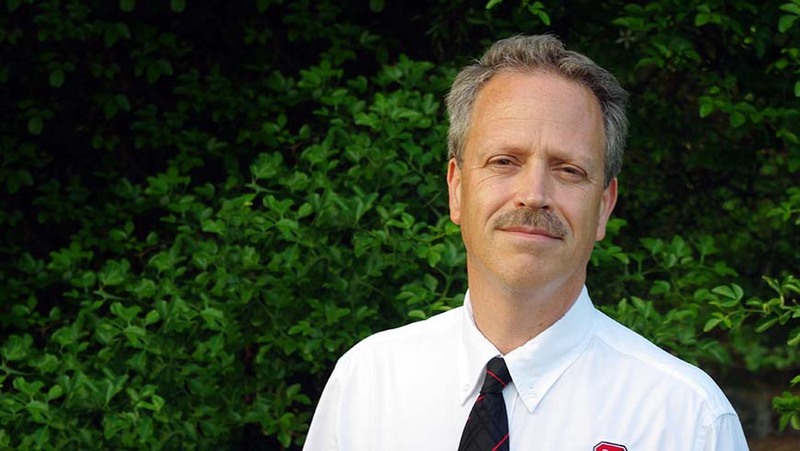 After earning his BS in Plant Science from the University of Massachusetts in 1979 and an MS in Horticulture from The Ohio State University in 1981, he came to the Department of Horticultural Science at NC State University as a Lecturer, teaching in both the two-year and four-year programs. In 1987 he became the Undergraduate Coordinator, serving the department in that capacity for 26 years. Bryce teaches both large and small courses, for majors and non-majors. In the past 30+ years, he has taught more than 20,000 students. He has received numerous local, regional, and national teaching awards and is frequently invited to speak at many workshops and symposia, about teaching as well as horticulture and gardening. He hosts and produces a two-time, Emmy winning UNC TV public television show called “In the Garden With Bryce Lane” which has been on the air for 11 seasons. Most importantly, he has been married for 37 years to his high school sweetheart, has two happily married daughters, and five incredible grandchildren. Bryce retired from NC State in January and is now spending more time with his family, pursuing the next chapter in his public speaking career, and teaching part time at NC State and . 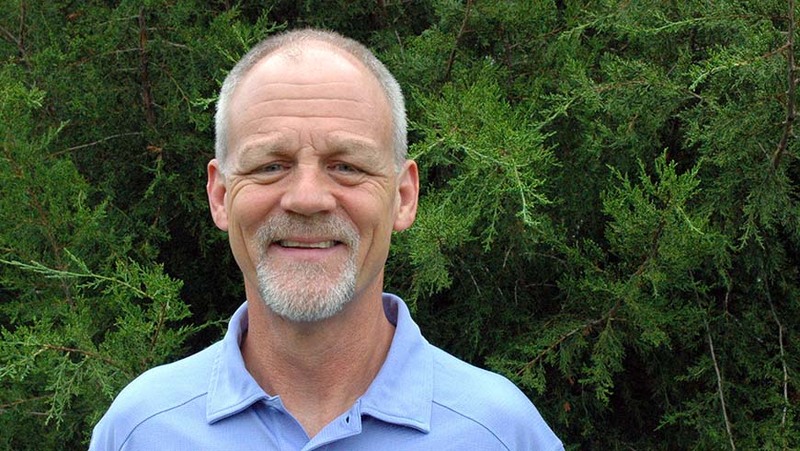 He recently served as Interim Director of the JC Raulston Arboretum from July through November. He is an avid gardener who has gardened in the same spot for 31 years! In company with horticulturists from the Royal Botanic Gardens, Kew, Windsor Great Park, the Howick Arboretum, and others, Bill McNamara has botanized extensively in the wilds of Asia. For the past twenty-seven years, each fall he has ventured into the mountains of China, Japan, India, Nepal, and Myanmar in search of plants. Working closely with local botanists, Bill and his colleagues are pursuing their mutual goals of research and conservation. Bill first read about British plant hunters while he was in high school. He remembers telling friends that he wished he had been born a century earlier, as he mistakenly thought the days of exploration were over. To help with college expenses, Bill worked at various nurseries in the bay area and became a California Certified Nurseryman in 1973. After graduating in 1975 from the University of California, Berkeley, he left for Asia. For just under a year he traveled around the world visiting gardens and remote areas. He settled in Sonoma, California, where he started Con Mara Gardens, a landscaping business, in 1980. In 1987 Bill began working with Quarryhill Botanical Garden, a private research garden in Glen Ellen, California. He was promoted to director in 1994 and made executive director in 2007. Bill was made a field associate of the Department of Botany, California Academy of Sciences, San Francisco, and an honorary researcher of the Scientific Information Center of Resources and Environment of the Chinese Academy of Sciences in 2000. In 2001 he became an associate member of the joint Chinese-American Committee for the Flora of China. 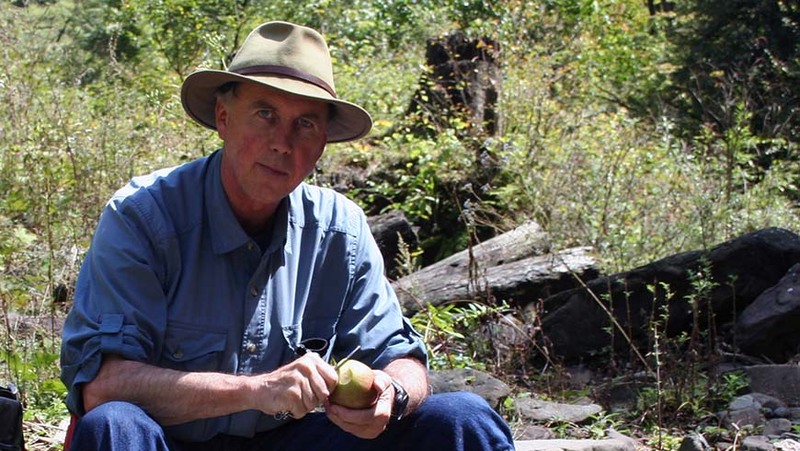 In 2006, Bill was made an international advisor for Curtis’s Botanical Magazine. He has been the curator of the Crombie Arboretum since 2003. Bill has a Master’s degree in conservation biology and is also a member of the San Francisco Botanical Garden at Strybing Arboretum Horticulture Advisory Committee. He received the Garden Club of America’s Eloise Payne Luquer Medal in 2009 and received the prestigious 2010 Scott Medal and Award from the Scott Arboretum of Swarthmore College. He was the recipient of the California Horticultural Society Annual Award in 2012. In 2013, he received the Award of Excellence from the National Garden Clubs. Bill has had numerous articles published and also holds a third degree black belt in Aikido. Auction purchases support the JCRA's general fund within the NC Agricultural Foundation, Inc.
Plant Delights Nursery and Juniper Level Botanic Gardens are opening their doors to symposium attendees on Friday, February 20 from 8:00 am to 4:30 pm. Please call (919) 772-4794 in advance to let them know that you'd like to visit. Early registration (ends February 8, 2015): $50.00 for members, $65.00 for nonmembers; late registration (begins February 9, 2015): $65.00 for members, $80.00 for nonmembers. Advance registration is required. Please register online using our registration e-store. Registration is limited and is considered complete when payment is received. Program cancellations can be made through Saturday, February 7, 2015. No refunds will be made after February 7. A 15% cancellation fee applies.